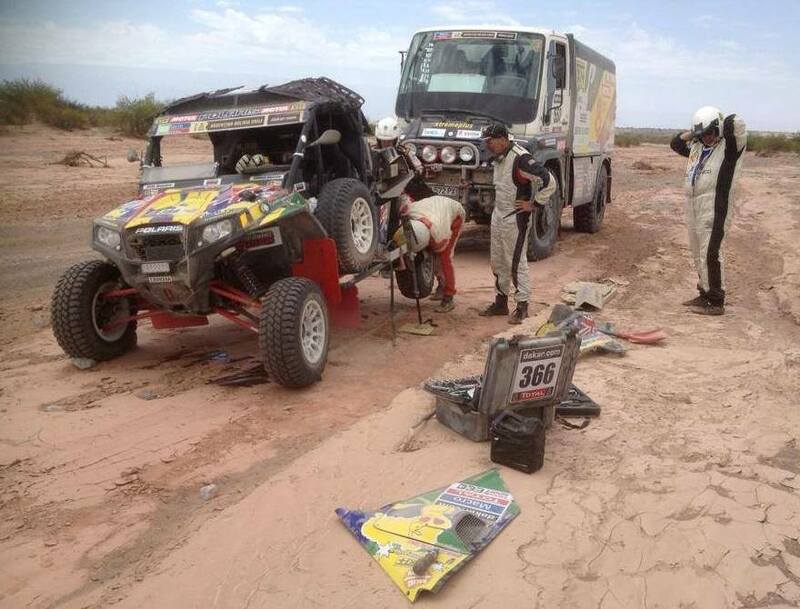 Annie & Garry #366 were unfortunate in this rally, as the engine died just after finishing stage 5. 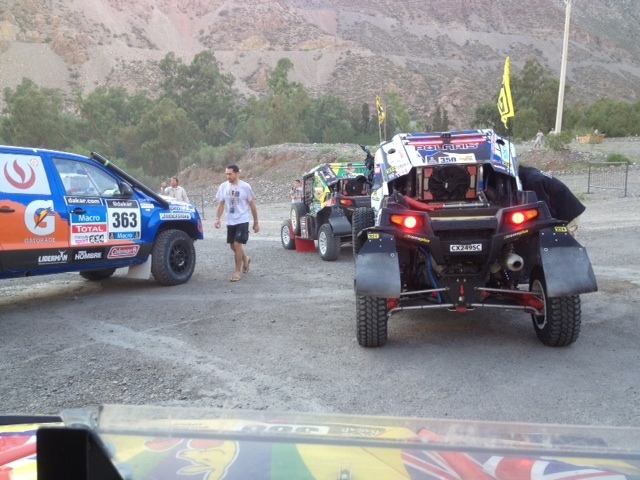 So was our team mate #386 Yasir & Lauren, the gear box broke half way on stage 5. But our Team XtremePlus is still in the race! The cars #350 William and #364 Nicolas & Sebastien, are stable on positions around 48-50. 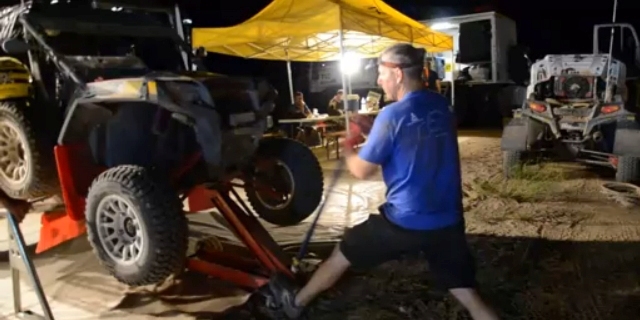 #350 had problems with the front suspension on stage 7. 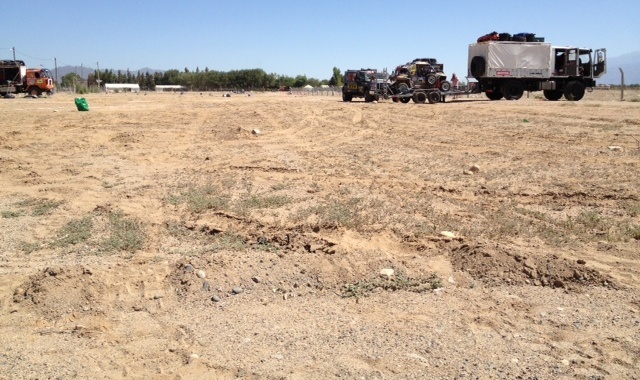 #364 tried to help but luckily the truck came to rescue – again – so everybody could continue. But they finished a little too late. It was very windy and dusty. 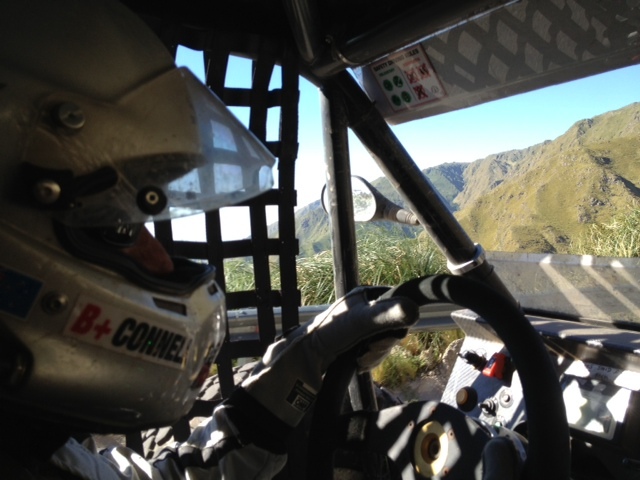 It seems they are driving together and thus “sharing” the codriver Sebastien, as William drives solo. 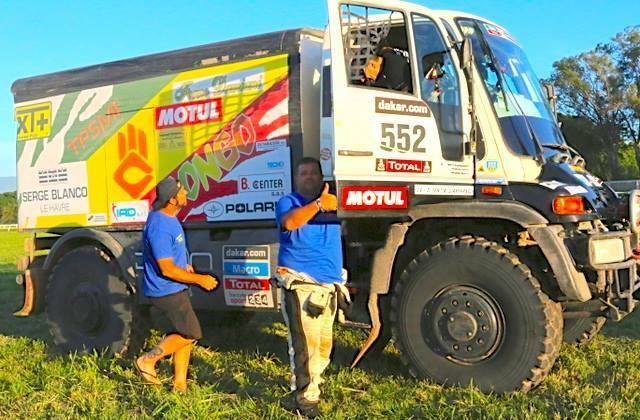 The truck #552 (Piana, Cangani, Trote) is also still in the game, position around 42. There are a couple of Estonian bikers doing quite well. 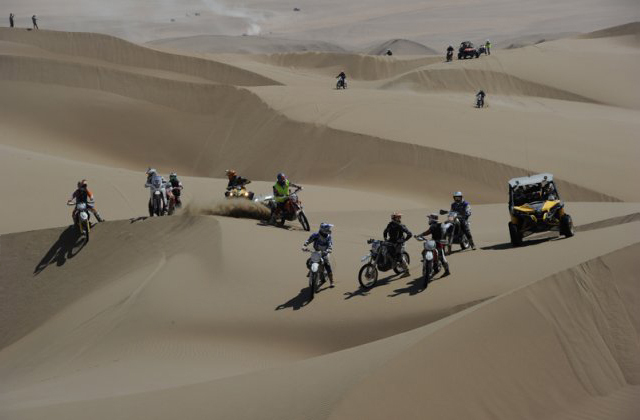 Nice to see other riders from northern Europe in Dakar! 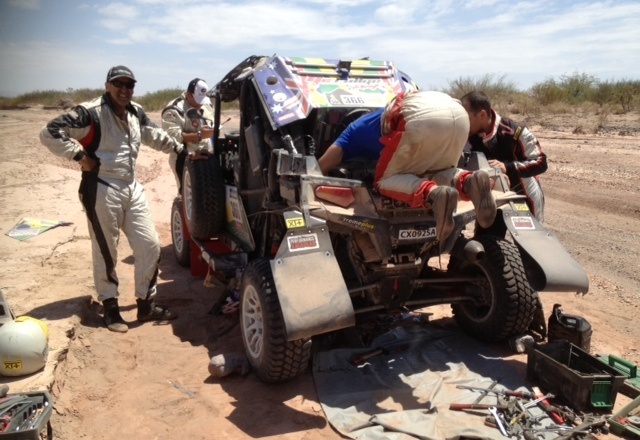 These Dakar rookies are #117 Meeru, pos 42, and #133 Triisa, pos 59, both taking it easy and safe – very wise. Good luck to all of them, and the others struggeling in the dunes and mountains , enduring heat, sandstorms, cold, rain… and even suffering from painful injuries. 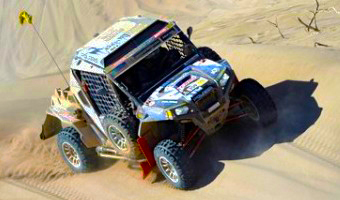 This entry was posted in Dakar and tagged Annie Seel, dakar2014, garry connell, hardships, mishaps, polaris, technical problem. 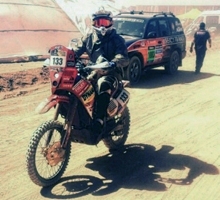 Leaving the Dakar rally 2014. Goodbye! These photos tell the end of story, after the damaged oil line. The helping truck arrives… … with the handymen. … and leaves an empty bivouac behind. 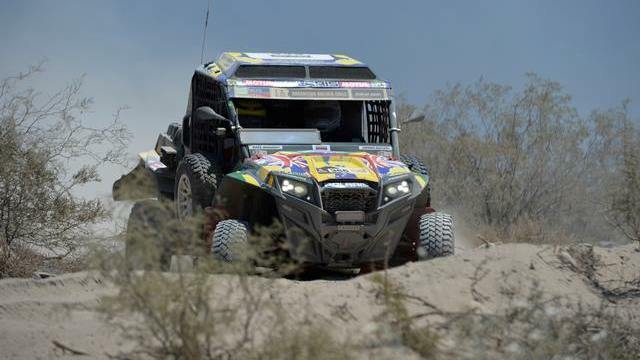 This entry was posted in Dakar, Rally and tagged Annie Seel, dakar2014, Finish, garry connell. San Rafael – San Juan. Due to the severe weather of the last few days – rain has flushed away some soil – the special section this stage should have been shortened. But as the weather got better the special was finished as originally planned, 245 km. Tricky and narrow tracks, up to 3000 m height – great scenery! Some fast stony parts, also on food beds, and feshy at the end. Stage time 4:42:17 (var +1:43:25), pos 80. Total 74th, 3rd in SSV class! Annie tells about stage 3: super “turtle strategy”, mission completed. 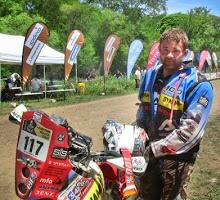 Bad news, Pål Anders Ullevålseter, bike #20, must abandon the rally due to engine problems. 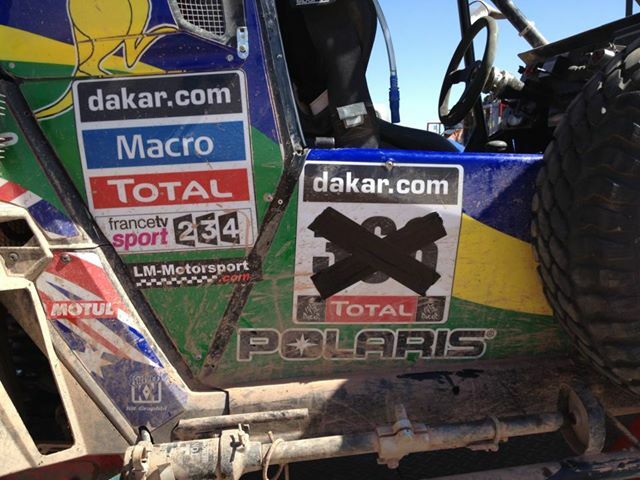 This entry was posted in Dakar and tagged Annie Seel, Dakar, garry connell, video. 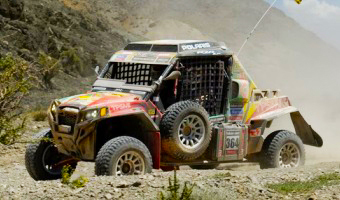 San Luis – San Rafael, SS Cars 433 km. It’s been long and tough for most competitors. Quite speedy tracks and parts through rough stone areas and over great dunes. 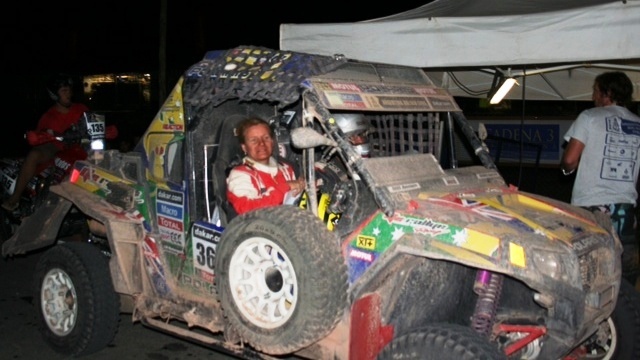 Annie & Garry finished the stage at about 21:15 local time, timed on the special stage 8:31:35 (var +4:39:30). Position 83. 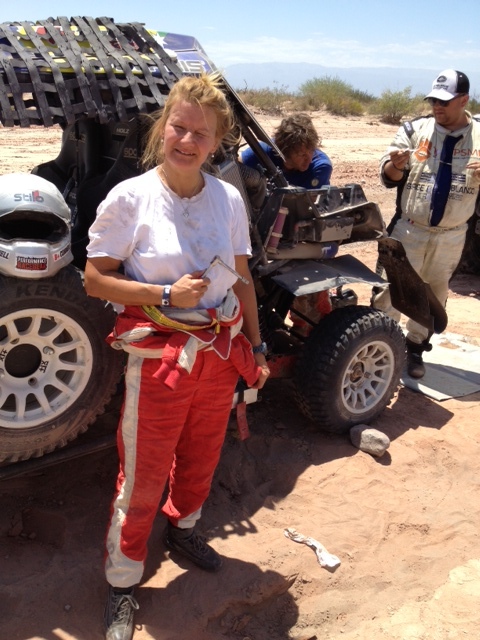 Annie: “Only 50-60 km into the stage we got a flat tyre, and then another… we have only 2 spare wheels. So we had to slow down and drive cautiously, the stones are very edgy and hidden in the sand! Then there was that really nasty fesh-fesh, that blew all over us – everywhere – couldn’t see anything. And then 40 km from finish one more flat tyre. So annoying, but we managed to fix one of the other flatties with a vulcanite plug. Many riders stood along the track with flat tyres, including our team mate Saedan. One car was totally burnt out, also a truck upside-down in the ditch. 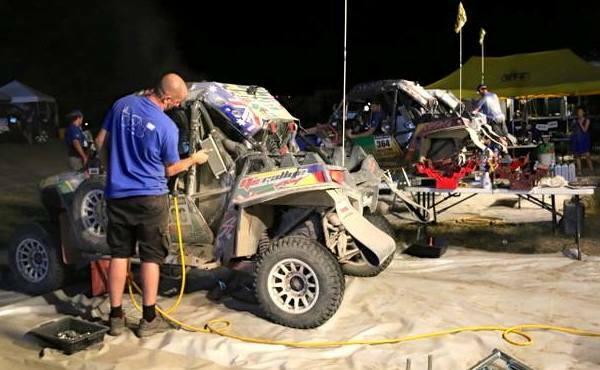 This entry was posted in Dakar and tagged Annie Seel, buggy, dakar2014, garry connell, mishaps, video. Cars #366 Pos 86, time 3:10:04 (var 0:49:28). 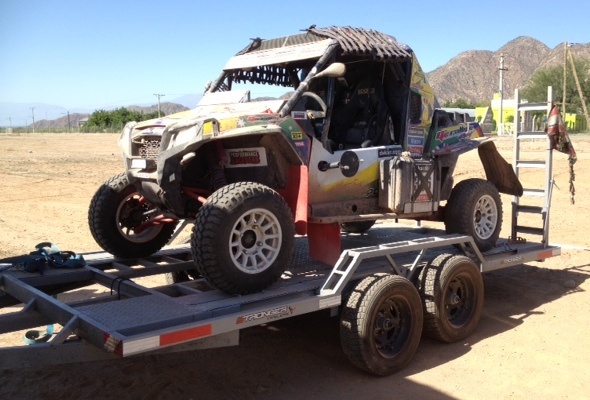 5th in buggy class! 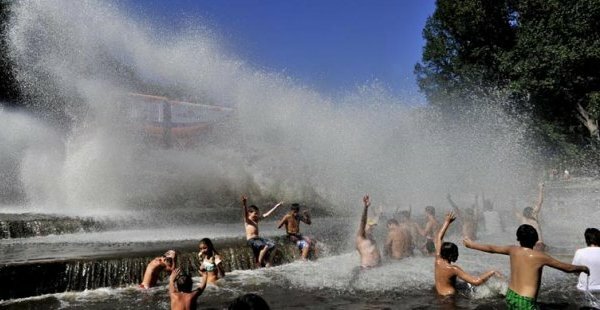 Spectators enjoying a shower in the terrible heat. 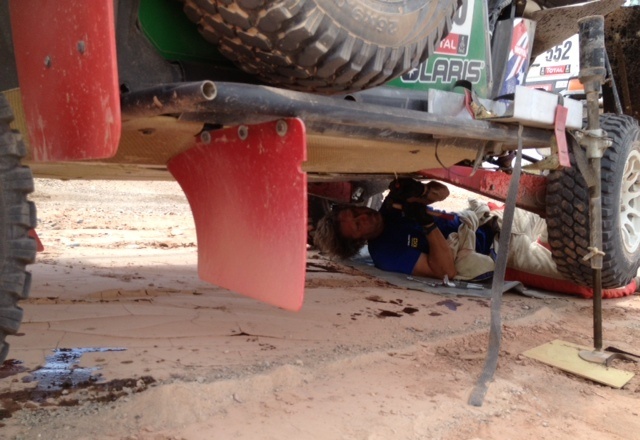 Annie & Garry are in a good mood and have done well, in spite of some problems with brakes. 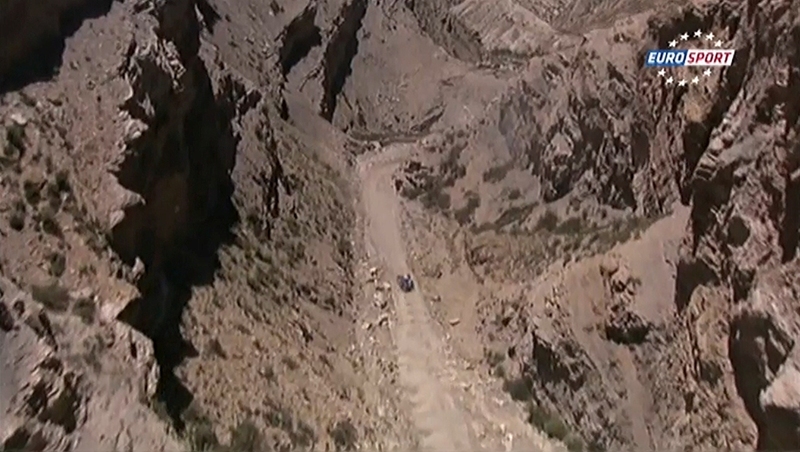 They got lost early in the stage, and Garry must adjust his driving, using the motor to slow down the speed. So, it was quite exciting as the stage was rather difficult. preparing the roadbook for tomorrow and changing socks. A summary of Annies past adventures and some goals for the coming – to reach the finish line for the 22th time. 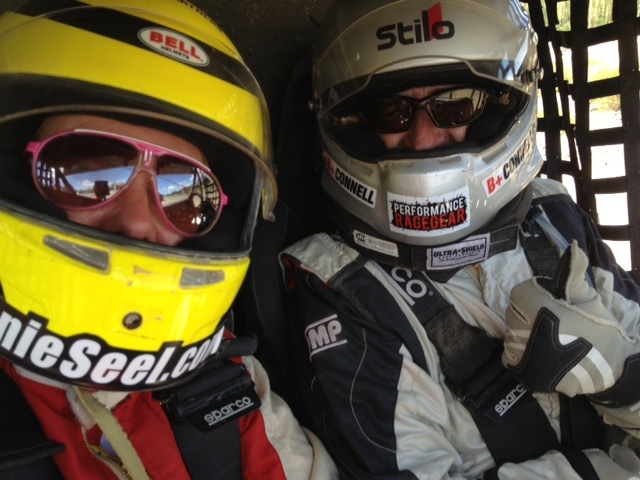 This time as the codriver to Garry Connell in a buggy. 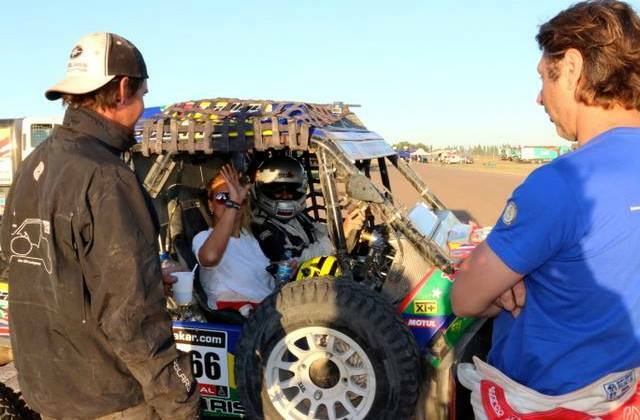 This entry was posted in Dakar and tagged 2014, Annie Seel, Argentina, buggy, Dakar, garry connell, press, rally, rallyprincess, video, xtremeplus. 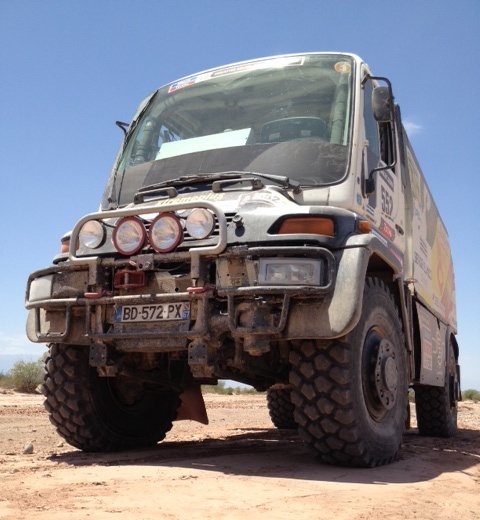 This entry was posted in Dakar and tagged Annie Seel, dakar2014, garry connell. Klicka på bild för full storlek i ny flik! 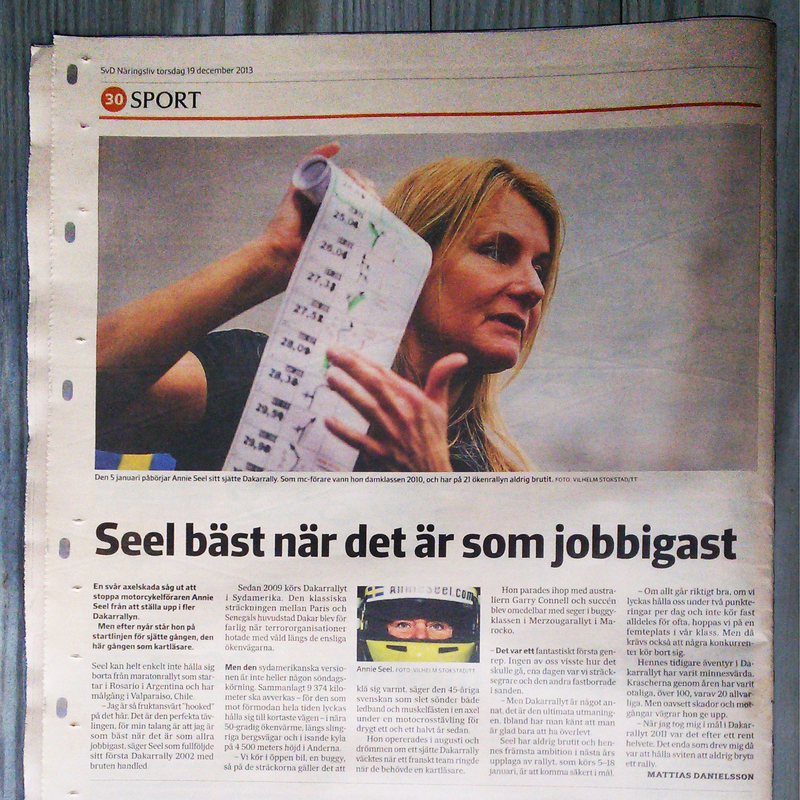 En svår axelskada såg ut att stoppa motorcykelföraren Annie Seel från att ställa upp i fler Dakarrallyn. 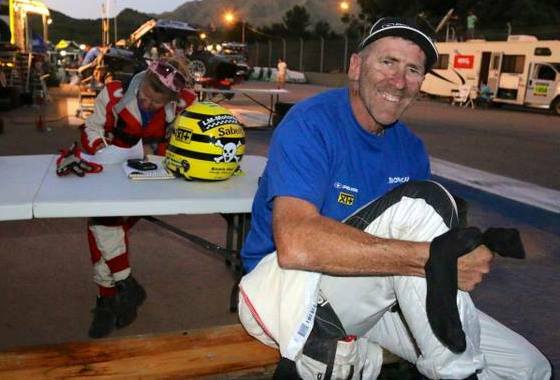 Men efter nyår står den 45-åriga svenskan på startlinjen igen, den här gången som kartläsare i en buggy tillsammans med den australiske föraren Garry Connell. Sammanlagt 9 374 kilometer – för den som mot förmodan hela tiden lyckas hålla sig till kortaste vägen – ska avverkas i nära 50-gradig ökenvärme, längs slingriga bergsvägar och i isande kyla på 4 500 meters höjd i Anderna. 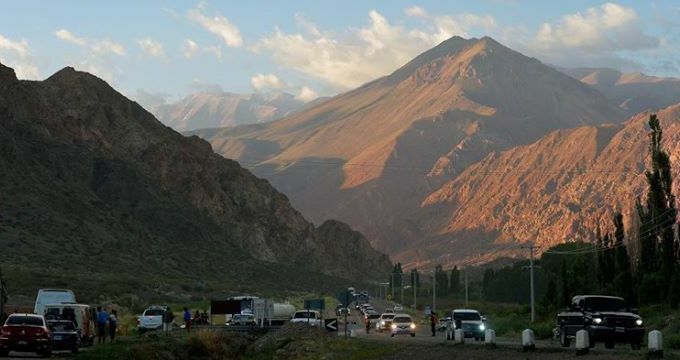 – Det blir sjätte rallyt för mig och jag har aldrig brutit, så mål nummer ett är att komma i mål, säger Seel inför tävlingen som börjar i Argentina den 5 januari och avslutas i Chile 13 dagar senare. – Men om allt går riktigt bra hoppas vi på en femteplats i vår klass. 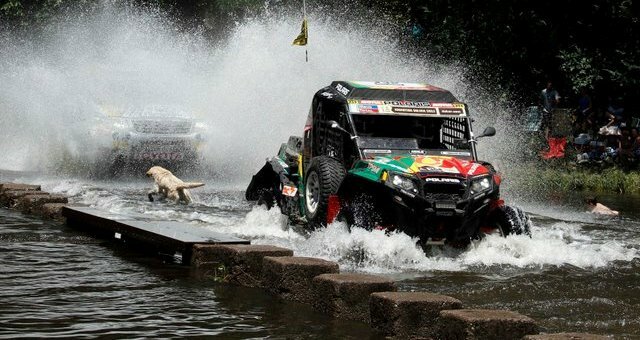 This entry was posted in Dakar and tagged 2014, Annie Seel, buggy, Dakar, garry connell, motorsport, press.